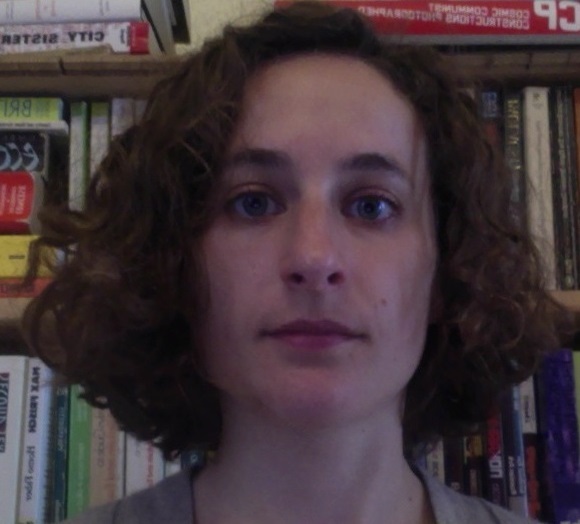 Licia Cianetti is Teaching Fellow in Politics at Royal Holloway, University of London. She is also a post-doctoral researcher at the Centre for Social Studies of the University of Coimbra, Portugal, where she is conducting a research on urban minority policies (funded by the Portuguese Foundation for Science and Technology, grant no. SFRH/BPD/120310/2016). Her research focuses on minority politics and the quality of democracy in ethnically diverse societies. Much of the focus of minority studies is on state-level approaches and solutions to ethno-cultural divisions. Regions with high concentrations of minority populations have also attracted significant attention. However, while the nation-state obviously remains a crucial setting for the development of inter-ethnic arrangements (and conflicts), the city has emerged as a primary “site for generating, managing, negotiating and contesting cultural and political identities” (Uitermark, Rossi and Van Houtum, 2005: 622). The urban concentration of ethnic minorities in many countries has made diversity the quintessential city attribute. In cities around the world, ethnic and cultural diversity are growing in increasingly complex combinations, as migration-driven diversity interacts with pre-existing patterns of ethnic, cultural, and social diversity (Vertovec 2015). This has direct political consequences. First of all, concentration and proximity force all sorts of inter-ethnic encounters, fostering the development of daily practices of urban coexistence (Amin and Thrift, 2002). Secondly, diverse cities have to respond to different demands for the distribution of resources and accommodation of different cultural expressions, so that city administrations are constantly called in to make decisions on the daily management of diversity. Moreover, minority urban concentration also creates the conditions for the emergence of minority grassroots initiatives and organisations, and makes it easier for minorities that are otherwise marginalised in state-level politics to achieve representation (and sometimes positions of power) in city administrations (Back and Solomos, 1992: 346; Bird, 2004: 182). As a result, cities have come to be a central setting for the negotiation of inter-ethnic relations and for the development of on-the-ground practices of ethnic inclusion and exclusion. Diverse cities call to mind two different – and in many ways opposite – images. On the one hand, diverse cities can be seen as laboratories for a new post-national society. Because urban life forces diverse people to live side by side and share spaces (public transport, pavements, shops, neighbourhoods etc. ), the city is often seen as “the most promising site for the negotiation of ethnic identities” (Uitermark, Rossi and Van Houtum, 2005: 623). Indeed, although the overall framing of ethnic relations occurs at state level, much of the actual “negotiation of difference” happens at the local (most often urban) level through everyday, “banal” encounters (Amin 2002). The expectation that cities function as laboratories for new modes of inter-ethnic coexistence is more or less loosely based on the “contact hypothesis” of inter-group relations. Originally developed by Allport (1954), this maintains that, under the right conditions, contact among ethnic groups reduces prejudice and breeds inter-ethnic understanding. This expectation is also inscribed in the EU Common Basic Principles for Immigrant Integration, which state that “[integration] is a process that takes place primarily at the local level” and “[f]requent interaction between immigrants and Member State citizens is a fundamental mechanism for integration” (Basic Principle no. 7, A Common Agenda for Integration, COM  389 final). Following this view, city administrations are expected to devise new policies to facilitate positive encounters and foster peaceful inter-ethnic living. On the other hand, cities are also associated with ethnic and racial segregation, in the forms of the banlieue, the ghetto, and the ethnoracial tensions and insecurities these call to mind. According to this less rosy view of diverse cities, the inequalities and divisions that exist in society are embodied (and potentially amplified) in urban settings (e.g. Wacquant 1996). Unequal access to economic, social and political rights has deep effects on how different groups experience the city and on the kind of inter-ethnic encounters that are more likely to occur (Smith 1989). This ties in with widespread discourses of fear about the city that have been in circulation as long as there have been cities (Body-Gendrot and Martiniello, 2000: 2) and have recently come to prominence with US President Trump’s remarks about supposed no-go zones in European cities. Therefore, rather than (only) sites of positive encounter, cities are also potential sites of division and conflict. For the reasons sketched above, city governments find themselves at the coalface of diversity politics. Their role cannot be reduced to the mere implementation of state policies. Rather, they are key (and relatively autonomous) players in the multilevel governance of inter-ethnic integration (Gebhardt 2014). As city administrations have to deal with the day-to-day (and often mundane) governing of diversity, they tend to take a more pragmatic approach compared to the state level, where often highly symbolically charged discussions of identity and culture prevail (Jørgensen 2012). In addition to this, city administrations offer an alternative (and often more accessible) platform for minority representatives to gain political office. The rise of minority representatives to positions of power in cities has obvious symbolic and visibility effects. According to studies focused on the US and – more marginally – Europe, it might also have concrete effects on city minority policies and, consequently, on minorities’ welfare and social integration (Mladenka 1989; Browning Marshall and Tabb 1990; Back and Solomos 1992; Garbaye 2005). Of course different cities have taken different approaches to diversity (proactive or responsive, innovative or state-led), and some cities have been openly antagonistic towards their non-majority residents (Varsanyi, 2008; Ambrosini, 2013). Nevertheless, expectations remain high that cities might hold the solution to the issues and uncertainties of how to live (and prosper) with diversity. This is evidenced, for instance, by the emergence of a number of trans-national networks of multicultural cities, which aim to share good practices in devising city-level diversity policies. The EU, UNESCO, and the Council of Europe all support such networks, which include hundreds of cities throughout the world. So, are these expectations justified? Some examples can illustrate what proactive cities can do to shape their own inter-ethnic politics beyond, and sometimes against, state-level approaches. First of all, cities can collect comprehensive data (often lacking at state-level) as a starting point to understanding the needs of diverse communities, create awareness on the potential effects of policies on specific groups, and inform policymaking. This is the case, for instance, of Thunder Bay (Canada)’s Diversity in Policing Project. Awareness of minority-specific barriers to accessing local services can prompt cities to adapt the ways in which they promote and deliver such services. Efforts of some Swedish, British and Dutch cities to mainstream non-discrimination and inclusion in the provision of their services are an example of this (Gebhardt 2014). As city administrations are often the biggest local employer, they can also develop strategies to recruit diverse staff. Urban development and housing can also be managed in ways that are more or less sensitive to inter-ethnic needs (for a typology of city approaches on this, see Wood ). While city minority policies can be fragmentary and responsive, some city authorities have developed programmatic charters to spell out their guiding principles on diversity and inter-cultural integration – such as Potsdam’s New Tolerance Edict, and Montreal’s Declaration for Cultural Diversity, both drafted through extensive consultations with local residents. Some cities have also established dedicated diversity agencies, departments, or posts, which are tasked with coordinating city efforts on non-discrimination and minority inclusion. An example of this is Barcelona’s Agency for Civil Rights and Non-Discrimination, which also provides services to help its non-citizen residents navigate the complex path to access state-level rights and resources. Moreover, city funding can be made available to support minority organisations and to provide specific services to members of minority groups – such as for example state language training or adult education targeted to socio-economically marginalised groups. Finally, cities can compensate for minorities’ political underrepresentation by promoting minority participation in city politics through ad hoc consultations, regular inclusion of minority organisations in some aspects of decision-making, or institutionalised minority advisory councils (as in Amsterdam from 1985 until the early 2000s, or in several Italian cities through the “Consulta dei Migranti”). These councils can be tokenistic but can also provide an alternative route for excluded voices to influence local policies. In short, cities cannot change the formal bestowing of citizenship to their non-citizen residents (a prerogative of the state) and the formal rights of their citizen-minorities are also determined at state level. However, by providing access to services and routes for political participation to their non-majority residents and by creating spaces for the development of city-based, post-national identities, cities can de facto redesign the practice of citizenship from the bottom up (Gebhardt, 2016). Conclusion: Diverse Cities vs. the Nation-State? After several European leaders have announced the failure of multiculturalism and, more recently, nationalistic and nativist discourses have seen a resurgence in the politics of many democracies, the role of cities in the multilevel governance of ethnic diversity has become even more important. In some cases local governments have been the first line of enforcement of restrictive and exclusive policies (Ambrosini 2013). More often, tasked with the routine governing of diversity, cities have remained pragmatic, de facto implementing local versions of multicultural policies under different names (Ambrosini and Boccagni 2015). More than that, some cities have responded to state-led exclusive pressures with open resistance. The US Sanctuary Cities movement against federal restrictive immigration policies and the city of Munich’s resistance against the German Government’s directive for healthcare providers to denounce irregular migrants (Gebhardt, 2016: 851) are illustrations of this. Therefore, also under the double strain of growing nationalism and decreasing budgets, cities have shown the potential to carve out some autonomous space as potential bastions of diversity. However, cities’ inclusive potential is not without contradictions. Cities often display more extreme inequalities than their country as a whole (United Nations, 2015), and minorities (both with and without citizenship) persistently find themselves among the most socio-economic disadvantaged (FRA, 2012). As a result, many European cities are experiencing rising housing segregation along socio-economic and ethnic lines (Tammaru et al. 2015). This has drawn the critique that cities market themselves as proudly diverse but in fact cannot or would not tackle the underlying, persistent inequalities that hinder minority social and political inclusion (Bridge and Watson 2002; MacLeavy 2008). To conclude, any study of ethnic and diversity politics must take into account its multi-level nature. The potential for cities to develop alternatives to nation-states’ nativist tendencies as well as the contradictions of urban diversity policies and practices cannot be ignored. All the more so since city life is now the norm for most of humanity. In 2014 the UN calculated that 54 per cent of the world’s population lives in urban areas, a proportion that is expected to rise over the next decades. As cities are caught between the normativity of nation-state frameworks and the reality of dealing with daily, “banal” diversity, their responses will be key to determining the future of our increasingly diverse societies. Allport, G. W. (1954) The Nature of Prejudice. Cambridge, MA: Perseus Books. Ambrosini, M. (2013) ‘“We are against a multi-ethnic society”: Policies of exclusion at the urban level in Italy’, Ethnic and Racial Studies, 36(1), pp. 136–155. Ambrosini, M. and Boccagni, P. (2015) ‘Urban Multiculturalism beyond the “Backlash”: New Discourses and Different Practices in Immigrant Policies across European Cities’, Journal of Intercultural Studies, 36(1), pp. 35–53. Amin, A. (2002) ‘Ethnicity and the multicultural city: Living with diversity’, Environment and Planning A, 34(6), pp. 959–980. Amin, A. and Thrift, N. (2002) ‘Cities and ethnicities’, Ethnicities, 2(3), pp. 291–230. Back, L. and Solomos, J. (1992) ‘Black politics and social change in Birmingham, UK: An analysis of recent trends’, Ethnic and Racial Studies, 15(3), pp. 327–351. Bird, K. (2004) ‘Obstacles to ethnic minority representation in local government in Canada’, Our Diverse Cities, 1(1), pp. 182–186. Body-Gendrot, S. and Martiniello, M. (eds) (2000) Minorities in European Cities. The Dynamics of Social Integration and Social Exclusion at the Neighbourhood Level. Basingstoke: Macmillan. Bridge, G. and Watson, S. (2002) ‘Lest power be forgotten: Networks, division and difference in the city’, Sociological Review, 50(4), pp. 505–524. Browning, R. P., Marshall, D. R. and Tabb, D. H. (eds) (1990) Racial politics in American cities. New York: Longman. FRA (2012) Fundamental rights: Challenges and achievements in 2011. Annual Report. Vienna: FRA – European Union Agency for Fundamental Rights. Garbaye, R. (2005) Getting into local power: The politics of ethnic minorities in British and French cities. Malden, MA: Blackwell Publishers. Gebhardt, D. (2014) Challenges in the Multilevel Governance of Immigrant Integration in Europe. Migration Policy Institute. Gebhardt, D. (2016) ‘Re-thinking urban citizenship for immigrants from a policy perspective: The case of Barcelona’, Citizenship Studies, 20(6–7), pp. 846–866. Herrschel, T. (2014) Cities, State and Globalisation. London: Routledge. Jørgensen, M. B. (2012) ‘The diverging logics of integration policy making at national and city level’, International Migration Review, 46(1), pp. 244–278. MacLeavy, J. (2008) ‘Managing Diversity? “Community Cohesion” and its Limits to Neoliberal Urban Policy’, Geography Compass, 2(2), pp. 538–558. Mladenka, K. R. (1989) ‘Blacks and Hispanics in Urban Politics’, American Political Science Review, 83(1), pp. 165–191. Smith, S. J. (1989) The Politics of ‘Race’ and Residence. Citizenship, Segregation and White Supremacy in Britain. Cambridge: Polity Press. Stephens, A. C. (2013) The Persistence of Nationalism: From Imagined Communities to Urban Encounters. London: Routledge. Tammaru, T., Marcińczak, S., Van Ham, M. and Musterd, S. (eds) (2015) Socio-Economic Segregation in European Capital Cities: East Meets West. Oxon: Routledge. Uitermark, J., Rossi, U. and Van Houtum, H. (2005) ‘Reinventing Multiculturalism: Urban Citizenship and the Negotiation of Ethnic Diversity in Amsterdam’, International Journal of Urban and Regional Research, 29(3), pp. 622–640. United Nations (2015) ‘Inclusive Cities’, HABITAT III Issue Papers, 1. Varsanyi, M. W. (2008) ‘Immigration Policing through the Backdoor: City Ordinances, the “Right to the City”, and the Exclusion of Undocumented Day Laborers’, Urban Geography, 29(1), pp. 29–52. Vertovec, S. (ed.) (2015) Diversities Old and New. New York: Palgrave Macmillan. Van der Waal, J., De Koster, W. and Achterberg, P. (2013) ‘Ethnic segregation and radical right-wing voting in Dutch cities’, Urban Affairs Review. Wacquant, L. (1996) ‘The Rise of Advanced Marginality: Notes on its Nature and Implications’, Acta Sociologica, 39, pp. 122–139. Wood, P. (ed.) (2009) Intercultural Cities: Towards a model for intercultural integration. Council of Europe. Zukin, S., Kasinitz, P. and Chen, X. (2016) Global Cities, Local Streets: Everyday Diversity from New York to Shanghai. London: Routledge. Tassilo Herrschel (2014) Cities, State and Globalisation. London: Routledge. Angharad C. Stephens (2013) The Persistence of Nationalism: From Imagined Communities to Urban Encounters. London: Routledge. Tiit Tammaru, et al. (eds) (2015) Socio-Economic Segregation in European Capital Cities: East Meets West. Oxon: Routledge. Sharon Zukin, Philip Kasinitz, and Xiangming Chen (2016) Global Cities, Local Streets: Everyday Diversity from New York to Shanghai. London: Routledge. For recent studies that confirm and refine Allport’s contact hypothesis, see for example Bohman (2013) and Van deer Waal et al (Zukin, Kasinitz and Chen, 2016). Information on Eurocities’ Integrating Cities Process can be accessed here: http://www.integratingcities.eu/. For UNESCO’s International Coalition of Inclusive and Sustainable Cities and its regional organisations see http://www.unesco.org/new/en/social-and-human-sciences/themes/fight-against-discrimination/coalition-of-cities/. For the Council of Europe’s Intercultural Cities Programme see http://www.coe.int/en/web/interculturalcities/home. Interestingly, right-wing populist discourses push back on this by pitching the “true” (rural) heartland against the liberal, multicultural, “out-of-touch” city.